I originally contacted Mandy of Kickin’ Creations to buy some wool dryer balls. As it turned out, she was not happy with the new method she was trying (at the time) for making them, and didn’t want to sell any to me until she was pleased with how they ended up. Kickin’ Creations items are normally shipped in nice, heat-sealed bags. 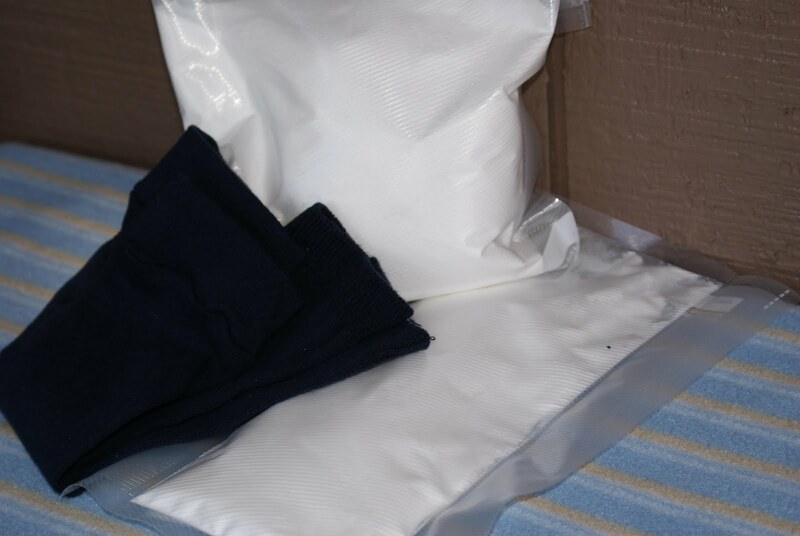 Since mine were samples, they were shipped in regular baggies. I received the detergent and pail powder, both in Wild Cherry Blossom scent. Other scent options include: Sweet Pea & Jasmine, Lavender Essential Oil, Apple Cinnamon, Fresh Linen and Unscented. I’ve had such a hard time with detergent, that I was really surprised and impressed by Kickin’ Creations. Like the other scented detergents I’ve used, the scent was very strong. I could smell it as soon as I opened my mailbox! I’m a little more sensitive to smells than others, so I put the detergent and pail powder in an OXO container for storage. Like that, it made my laundry room smell great! The first time I used it, I used a little more than I needed to. After that, I used a little bit less, and while the laundry room smelled great while washing, the diapers rinsed clean. When they were finished, they had a faint scent, but just smelled clean. I used the whole bag (it lasted at least a week, I should have kept track!) and it worked wonderfully. I use a Planet Wise large hanging wet bag as a pail, and don’t have a lot of stink issues. However, since I’ve started washing every other day, things get a little…eh…”gamey” by wash day. The Stink Be Gone All Purpose Deodorizer Powder is available in the same scents as the detergent, and a 10 ounce package sells for $5.00 plus shipping. If you used it in a shaker bottle (relabeled for safety!) 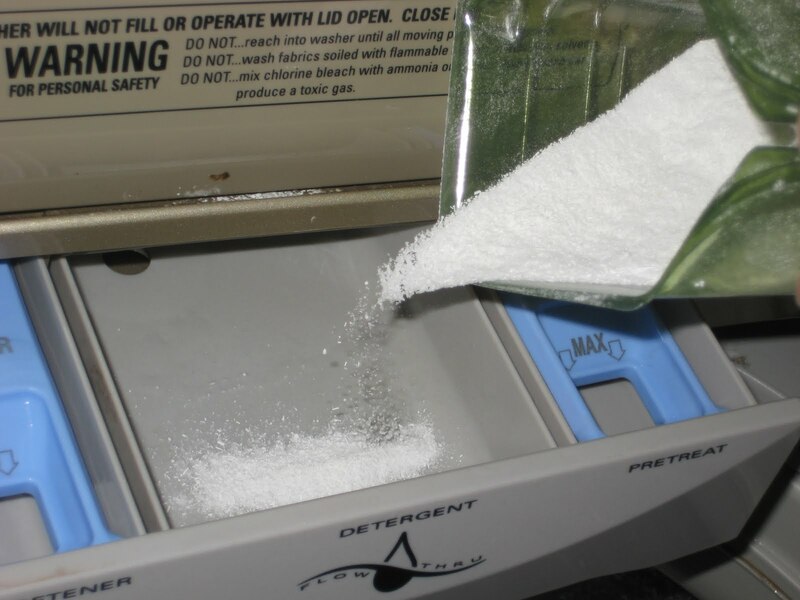 like an empty baby powder or spice container, it would be very easy to sprinkle a bit in your diaper pail or trash can. I just shook a little bit out of the bag onto the diapers as I added them to the pail & noticed some stink. It really did a good job of neutralizing the odor. My laundry room (where I keep my pail!) smelled fresh, not like flowery dirty diapers, hee hee. 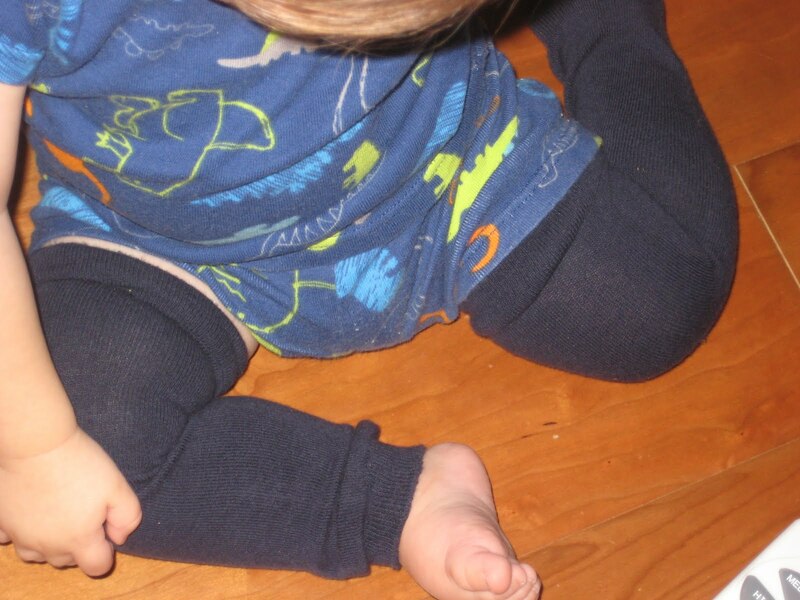 Last up are the baby legs. You really have to cut me some slack on my pictures. Lately, trying to photograph my son feels like trying to photograph a squirrel on redbull. 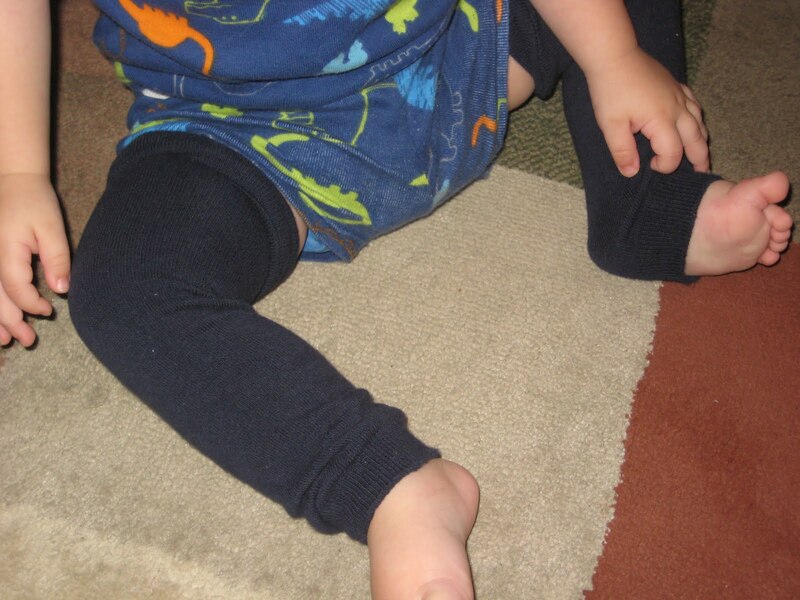 The pair I received are navy blue, and like other WAHM baby legs, they are made from knee socks. 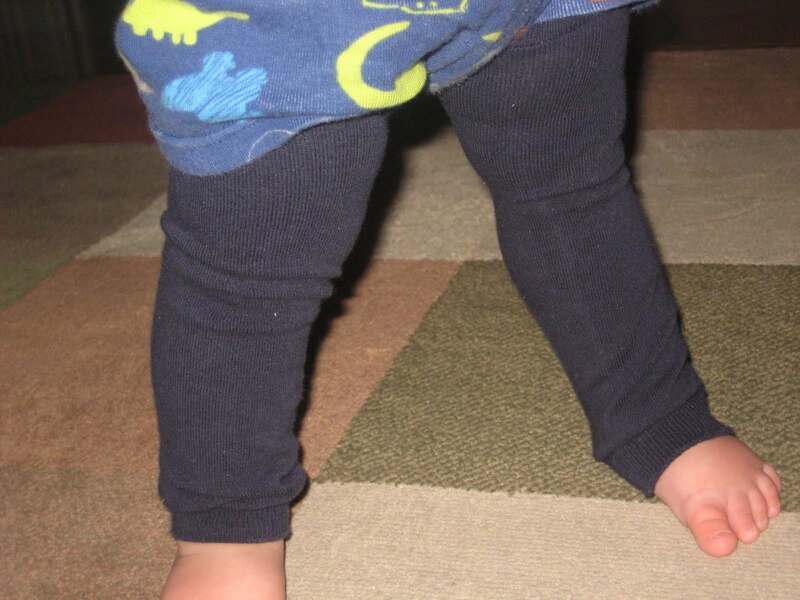 Mandy also makes a “Tiny Legs” version of baby legs for 0-3 month olds. They sell for about $5.00 plus shipping. 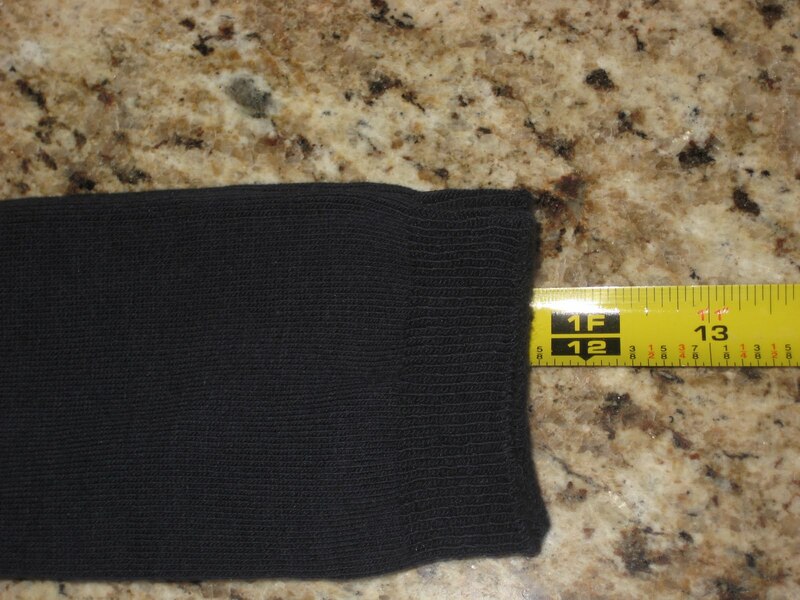 I am looking forward to using these when the weather gets cooler and he gets that chilly gap between socks and pants! Kickin’ Creations sells both in the Cuties with Cloth Booties Congo (CWCB) on Hyenacart and the Bliss Congo. Her CWCB store stocks tomorrow, September 15th. Here’s how to enter: All entries go in the form below. Feel free to leave a comment about the post, or simply to remind yourself that you entered however, comments will not be counted as entries. Mandatory entries include name, email address and the item you like best after visiting the Kickin’ Creations CWCB store. You may “like” the Kickin’ Creations Facebook page for a bonus entry, and double your chances! This post will be updated daily (or so) with the # of entries received, for those of you who like to know your odds. I will accept entries until Tuesday, September 21st, 2010 at 9 P.M. Eastern. I will select a winner using random.org’s true random number generator and notify him/her by email. View my giveaway rules page for complete details. This giveaway is open to U.S. residents only. FTC Compliance: I was provided with review samples for the cost of shipping, and a giveaway winner will receive a free item as well. I was not otherwise compensated for this post; I was not required or requested to write a positive review, and all opinions are my own. >I have tried Kickin creations laundry soap. It worked awesome. >Entered! I think its awesome that she didn't sell you something that she didn't believe in-she wanted to make it better!